This note examines the latest OECD data (Taxing Wages 2014-2015) on the progressivity1 of the Irish income tax system in comparison with other OECD countries. It finds that according to OECD measures the Irish system is the most progressive and that taxes in Ireland are relatively low on those with average incomes and below. Ireland has the most progressive income tax system (including employee social insurance contributions) in the EU. The tax paid by a single person on two-thirds average earnings(average earnings are just under €35,000) is the fifth lowest in the OECD (out of 34 countries) after Mexico, Chile, Korea and Israel. If raised to Danish levels a single person in Ireland would pay almost €4,700 more in tax on an income of about €23,000. The tax paid by a single person on average earnings is the 27th highest in the OECD. A single worker on an average income pays about €14,600 in income tax and social insurance contributions in Belgium compared to over €6,850 in Ireland a difference of over €7,750. The tax paid by a single person on one and two-thirds average earnings (€58,000) pays €18,700 in tax which is slightly above the OECD average. A person at the same income level in Belgium would pay €28,500 in tax- just under €10,000 more. A major reason for the relatively low direct tax burden in Ireland is that PRSI is lower here. In many countries PRSI funds pay-related unemployment and pension benefits while the Irish system provides flat-rate benefits only. Irish employees (and their employers) have to fund supplementary pensions separately. For example, Irish employees pay about €2 billion (after tax relief) towards their pensions annually. In many higher tax countries, these are funded through the tax system. If we look at the tax payable (excluding PRSI), the tax paid by a single person on one and two-thirds average earnings is the 9th highest in the OECD . 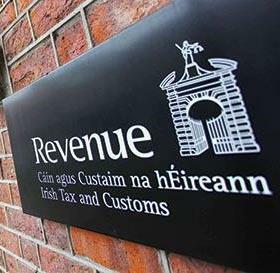 How do marginal tax rates in Ireland compare with other countries ? For a single person on two-thirds average earnings, the marginal rate in Ireland is 31 per cent compared with an OECD average of 32.1 per cent. The UK rate is 32 per cent. We are the 20th highest in the OECD at this level of income where rates range up to 55 per cent found in Belgium. At average earnings a single person in Ireland faces a marginal tax rate of 51 per cent: the third highest in the OECD (average 36.2 per cent). Again Belgium is the highest at 55 per cent while the UK rate is 32 per cent. At one and two thirds average earnings, the marginal rate of tax in Ireland (51 per cent) is the 8th highest in the OECD and significantly above the OECD average of 40 per cent. Belgium is highest at almost 60 per cent and the UK is at 42 per cent. If we compare Ireland with other countries, the problem is not so much the level of income tax that we pay, but rather than the top marginal rate applies at a relatively low level of income. 1 The measure of the progressivity of the tax system is obtained by comparing the tax due by a single person on 67% of average income with that payable on 167% of average income. Tax includes income tax, universal social charge and employee social security, contributions.